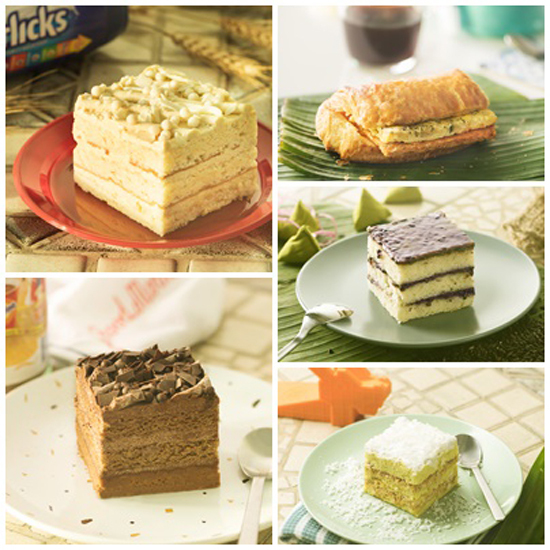 In celebration of Singapore’s 52nd birthday, Starbucks Singapore has launched a locally-inspired menu, featuring its first-ever, Singapore-only Shiok-ah-ccino! 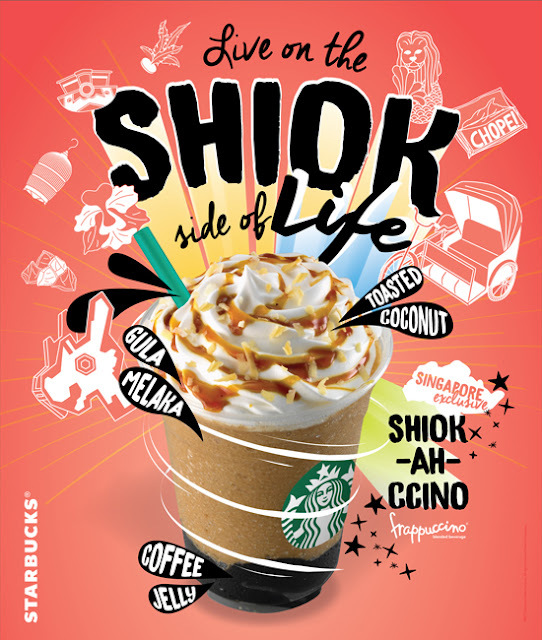 Inspired by local desserts, the Shiok-ah-ccino is made with gula melaka and blended with our signature coffee Frappuccino®, layered on top of smooth Starbucks® coffee jelly and topped off with whipped cream, more gula melaka, and toasted coconut for an added crunch. 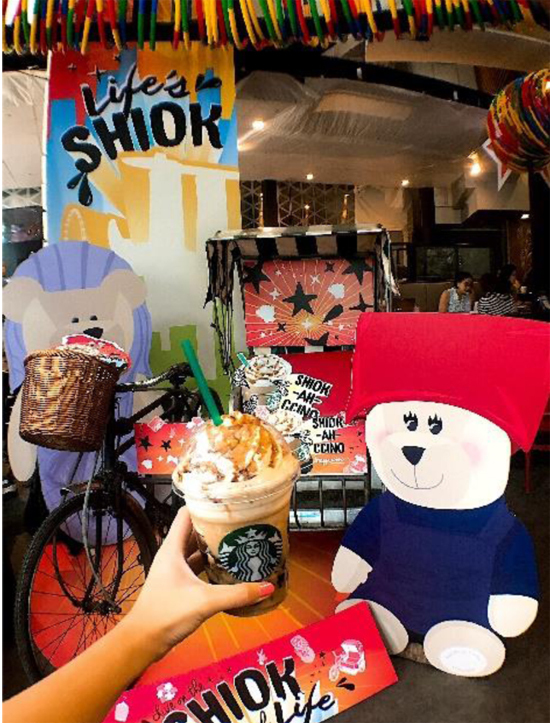 Customers can look forward to experiencing the shiok-ness at all Starbucks outlets across Singapore from now on. 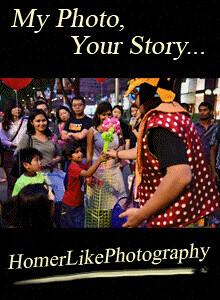 #1 Visit the Singapore-themed concept store Remember the days you spent crawling through playground tunnels, especially the iconic dragon playground in Toa Payoh? 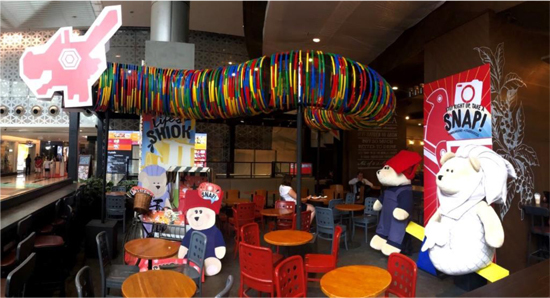 Well, revive those childhood memories by checking out Starbucks at Raffles City Shopping Centre for a concept store that is specially decked out in all things Singapore! We promise it will be a sight to behold for both young and old. 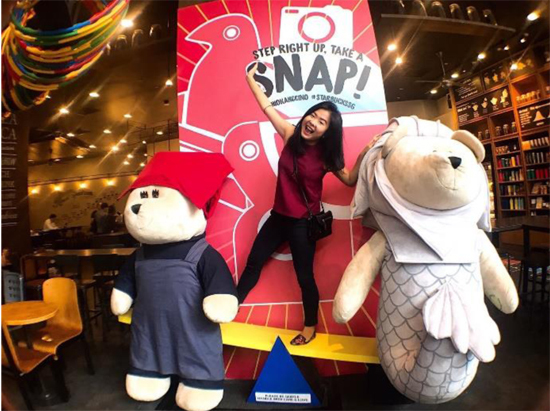 #3 Snap one for the memories with our LIVE-SIZED Merlion and Samsui Woman Bearista® bear! Have you seen our Merlion and Samsui Woman Bearista® bear? Have you seen them LIVE-SIZED? Now bigger and better, these Singapore-only plushies are here for a limited time – so get your dose of fun at our photo booth, cuddle up and snap away! While you can’t take these home with you, the regular sized plushies make the perfect gift for little ones, tourists, or anyone who wants a piece of Singapore. 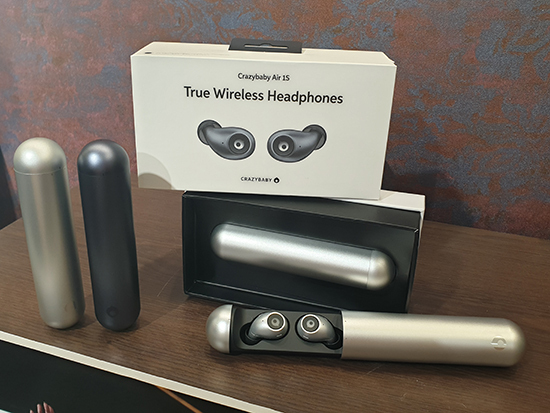 Starbucks Singapore Exclusive Merchandise – only available in Singapore! Have you seen our cuddly Bearista® bear? 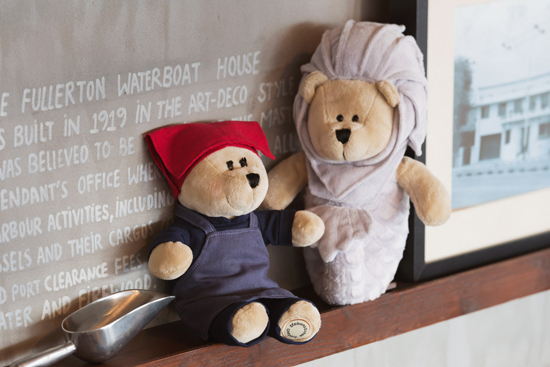 Dressed up in outfits inspired by the Merlion and Samsui Women, these limited edition Bearistas make the perfect gift for little ones, tourists, or anyone who wants a piece of Singapore. 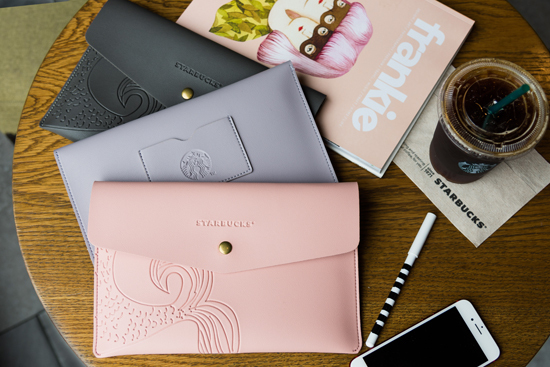 Travel in style with a Starbucks Passport Holder you’d be proud to show off no matter where you go! 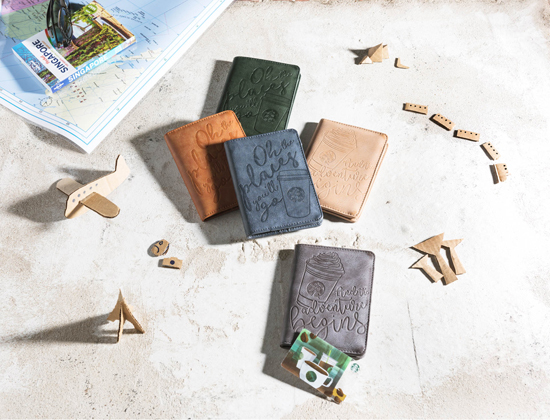 Each passport holder comes with a limited edition Starbucks Card, at $19.90 (with $10 value in card) at Starbucks stores beginning today. 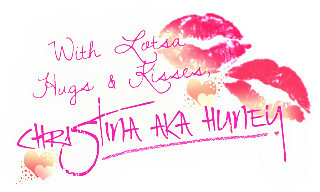 Available in 5 designs while stocks last. You asked for it – now it’s back by popular demand! Didn’t get your hands on our Siren’s Tail Clutch the last time round? Fret not – the clutch is now back in new seasonal colors of Charcoal Grey, Millennial Pink and Dusty Lilac and available in stores at $15 each beginning 7 August. These festivities will be happening at Starbucks Raffles City Shopping Centre till 13 August – so join in the fun as we celebrate all things Shiok and Singapore! 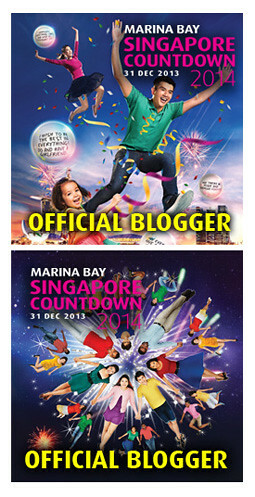 For more information, visit Starbucks.com.sg. Make Your Choice : Black Or White ?